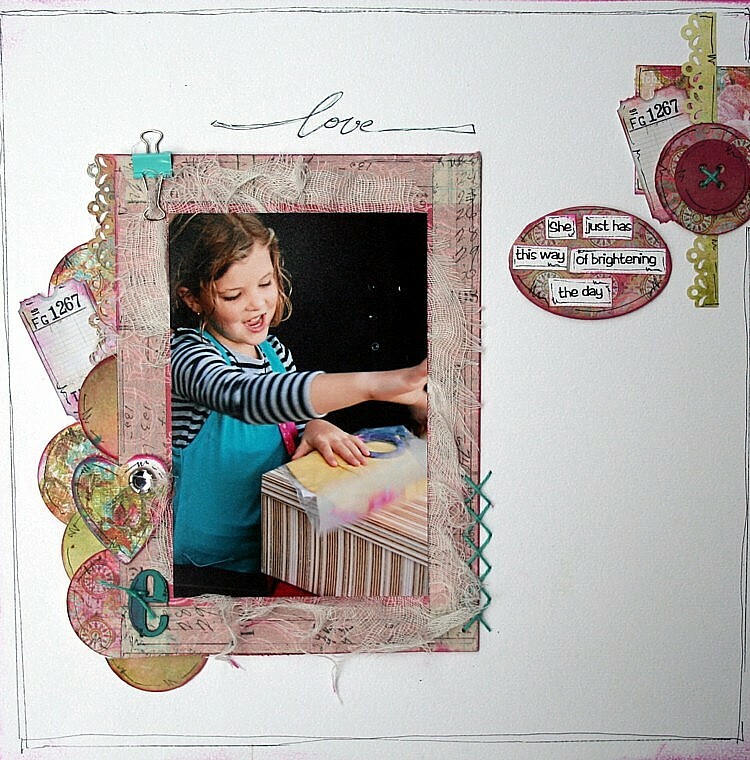 art and life: "SCRAP THE GIRLS "
this month over at "scrap the girls" we had to scrap a page using a "SHE" quote by Kobi Yamada. thanks for droppin by and leaving some love here for me to read .. This looks stunning. Love the pps on the white. Gorgeous pic and like how you added the clip and e to match her top.... I'm sure she will love this one of her. This is beautiful! The papers are just perfect - are they Prima? Love the design and colours Heather, so striking! this is so cute! awesome design and colors! Oh this is gorgeous Heather! Love the colours and design:) And your grand daughter is adorable. What a beautiful layout, firstly your grand daughter is gorgeous and why wouldn't she brighten your day??? 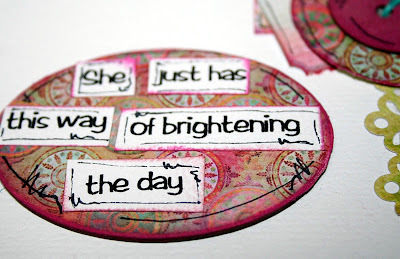 I am inlove with your layering of late it looks so effortless...another layout I am going to scraplift!!! This is beautiful. Thank you so much for stopping by, I love your work too and I am now a flollower !! 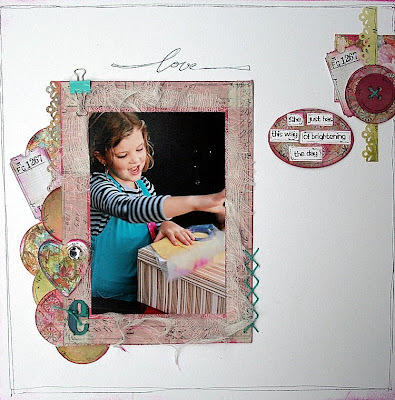 i love the frame work you did at this beautiful page sweet picture to. First of all, SHE is such a doll! I can feel your joy! This is absolutely a pretty layout for that precious young lady, cute little paper clip on top of all the other element, beautiful work! wow, gorgeous, I love it! This is just beautiful, Heather and what a precious photo.....gorgeous. Loooovee what you have done with the photo matt. Oh my, I absolutely LOVE this!!!! It's so beautiful! 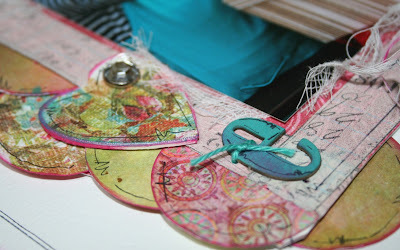 Love the paper, love the stitching, love the doodleing... love it all!!! I've nominated your blog for the One Lovely Blog award. I don't mind if you pass it on to others or not I just wanted to give you the award!! I love gardening too, although it is hard to find the motivation to go outside at the moment because it is so cold. I have a very big garden that needs a lot of attention. We are relandscaping it this year so it is quite exciting. I will take some pictures of the work so you can follow the progress !! I'm always inspired by the way you use all the different textures on your layouts....just beautiful. Ooooh I'm just loving this one Heather! Always a sucker for a white background I am!! Stunning LO with a truly magical photo, simple in a way yet so effective, gorgeous! This is STUNNING - I adore it!! ohhh Heather. love all the details but still lots of white space. thanks for leaving a comment on my blog which lead me to 'check you out' which led me to this wonderful blog of yours! Wow your work is amazing! love it! this is just so lovely, I love those chippie buttons and hearts WAY COOL! firstly THANKYOU from the bottom of my heart for always commenting on my blog, it truly makes my day and I appreciate it. Gorgeous Heather, love the papers! !